Badge. 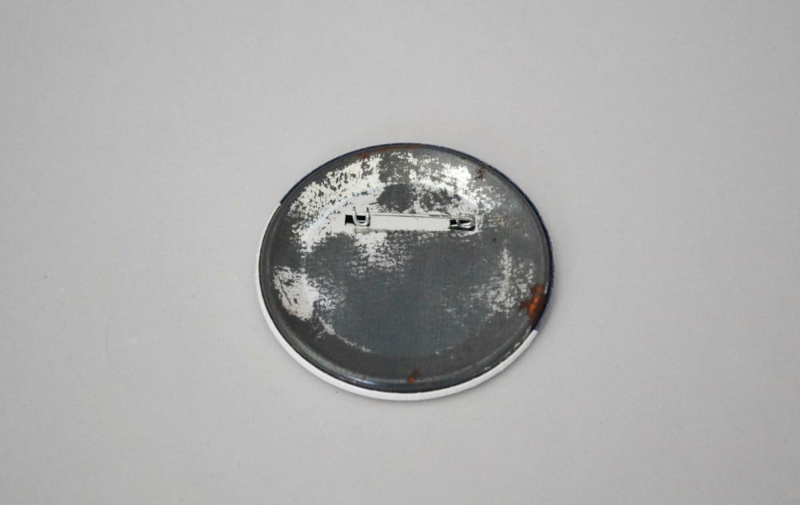 Large round metal badge. 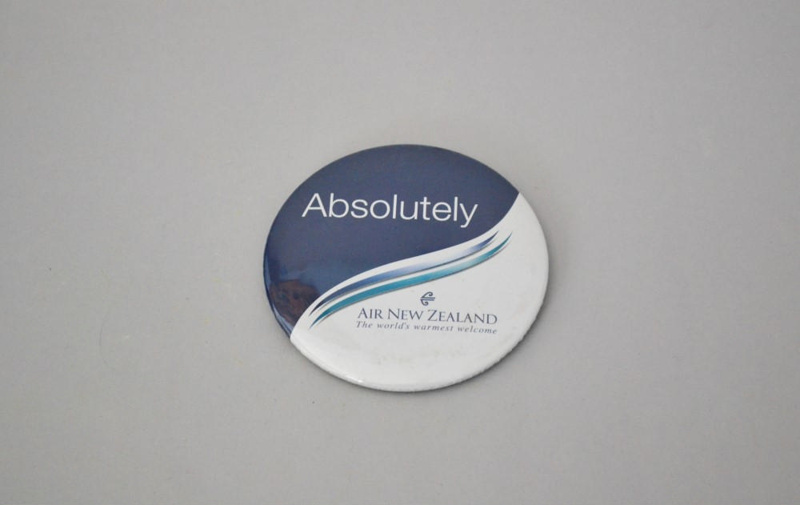 Labelled: “Absolutley / AIR NEW ZEALAND / The world’s warmest welcome”. Safety pin closure on back.